All across Berlin (and other german and non-german cities) Stolpersteine / Stumbling Blocks commemorate victims of the Nazi regime. The mini-monuments are created by artist Gunter Demnig. Each block stands for one person that was either evicted by the Nazis, or fled prior to eviction. Not all people that are commemorated were consigned by the Nazis to prisons, euthanasia facilities, sterilization clinics, concentration camps, and extermination camps. Some people managed to leave Berlin in time – others committed suicide. The Stolpersteine / Stumbling Blocks are usually located right in front of the house, where the particular person used to live. As of July 2015 there are more than 53.000 blocks in over 1.400 locations all across Europe – Berlin is just one of them. 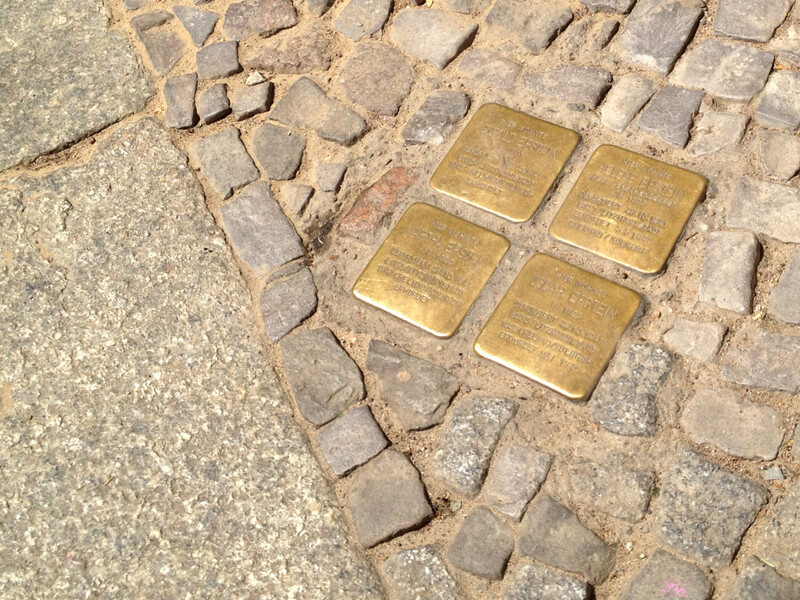 As far as I know Berlin is however the city where you will find the highest number Stolpersteine installed. If you want to go and see some of the mini-monuments you basically have two options. Either you take a stroll around a neighborhood of your choice. Depending on the area chances are that sooner or later you will stumble across at least one of the Stumbling Blocks. You could however also plan your walk in advance. Have a look at this website (www.stolpersteine-berlin.de/en/finding-stolpersteine) to see all of Berlin’s Blocks either on a map or in a list. All of the Berlin Stumbling Blocks have their own page, featuring additional information about the person the block is devoted to.